SAFE does the majority of its work in the public eye, sharing our stories, photos, videos, and updates with our supporters via our website and social media. But there are some rescue efforts that are done in private through our Community Outreach Program. Through this program, horse owners in need of help can apply for assistance with hay, vet care, gelding services, and euthanasia. Out of respect for the privacy of these individuals, most of whom have simply fallen on hard times and need short term assistance, we don’t typically publish these stories, or if we do, it’s well after the fact. It’s important that people feel comfortable asking for our help, because it takes a lot of courage to admit when things go wrong. 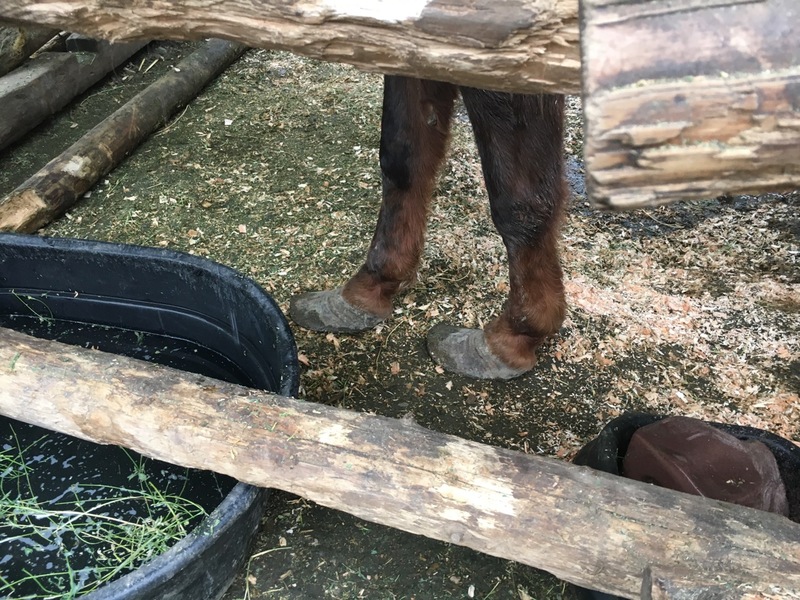 There are also some individuals we work with quietly for years, hoping that they will finally see the light and agree to surrender their horses. It takes patience, tact, and empathy to deal with such situations, but kindness often wins out and horses’ lives are changed for the better. So when Animal Control told us that Sienna and Koko’s owner was ready to give up their horses, we simultaneously rejoiced…and panicked. The timing was really bad…SAFE was completely full with several intake requests in the pipeline. Plus, we knew these two horses…and neither of them seemed like good intake prospects. Sienna, a young Mustang mare was dangerous and untouchable. 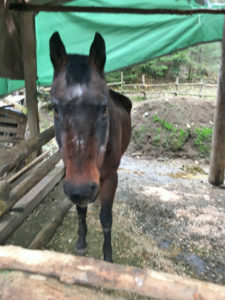 The other horse was an elderly gelding who was a little friendlier, but not much. But we also knew that they were living in terrible conditions, so we didn’t want to miss an opportunity to get them out. It was a conundrum for sure. After some thought, we decided that the best thing we could do was remove the horses from the home and humanely euthanize both of them. This is a sad way to start out a rescue mission, but sometimes it is the best option available to offer. The horses would never be hungry or cold or afraid again…they would never suffer neglect again. It was the best we could do in a situation that had gone bad years ago. Removing the horses from their home was a challenge. They lived in a remote area on a property that was difficult to access on foot, much less with a horse trailer. And once we got our rig in, how would we get these two unhandled animals safely into the trailer? Terry made about a hundred phone calls, and got many offers of help from members of the community. Special thanks to Pasado’s Safe Haven, NWESC, Joel Conner, Dr Dana Westerman, and MANY others for their smart suggestions, offers to lend us equipment, and offers to go along and help wrangle/transport. Pretty soon we had developed a plan that we thought would accomplish the mission and keep everyone safe. We also did a preliminary site visit to assess the horses and their surroundings so we’d know what we were up against. This is where our carefully considered plan hit an emotional snag. Sienna was jumpy and nervous, but she allowed us to pet her and within minutes became surprisingly relaxed about it! She seemed to have changed quite a bit since the first time we met her, a couple years before. These are the moments where you think your heart might tear in two…when you look into a horse’s eyes and you just cannot imagine putting her down. She was not who we thought she was. Koko on the other hand was shockingly thin, and of the two, he was the one who was pinning his ears and pulling grumpy faces at us. He looked like hell, but he seemed to have a fair bit of energy. The owner disclosed his registered name, and we learned that he was 29 years old. Turns out that we didn’t know these two quite as well as we had thought. The extraction was challenging but ultimately a success. Panels were used to create a chute that led from their pen to the trailer, and since Koko agreed to be led, Sienna followed quite willingly. 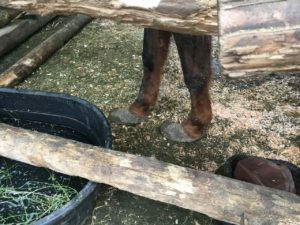 The horses were signed over and we were on our way to Northwest Equine Stewardship Center for the next phase of this rescue mission. Last week, the next phase of Sienna and Koko’s new lives began. 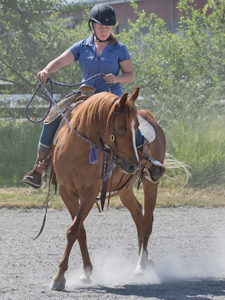 Because of SAFE’s extensive training program, it made sense for Sienna to become a SAFE horse. Koko was kindly taken in by NWESC where he will hopefully find a loving retirement home to live out his days. When moving day came, Dr Hannah said goodbye to her sweet friend Sienna and wished her well. 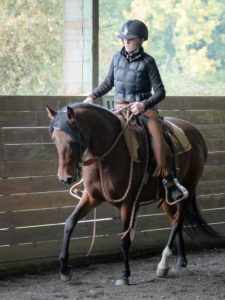 Sienna loaded bravely into a trailer, and headed off to begin working with trainer Jolene D who will be donating her services to teach Sienna ground manners and safe handling, before moving on to possible under saddle work. 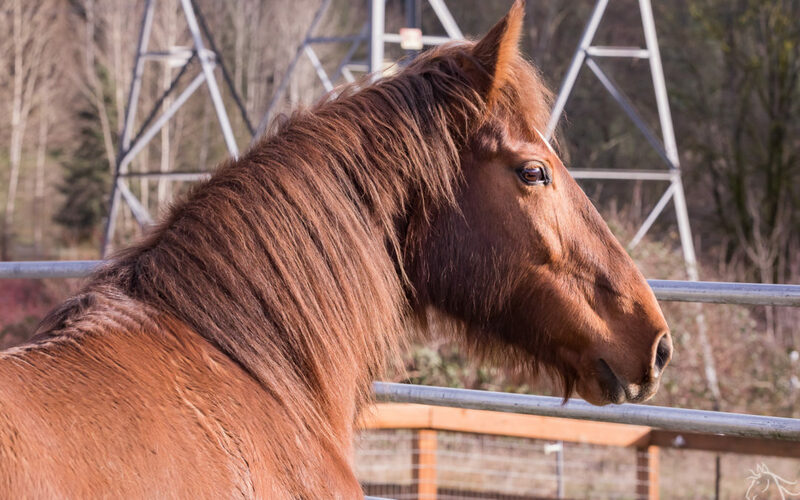 Koko was moved to an NWESC foster home at the same time, and fortunately, neither horse reacted badly to being separated, once they saw that there were other horses in the world. We are so grateful that NWESC was able to offer Koko a place in their program. 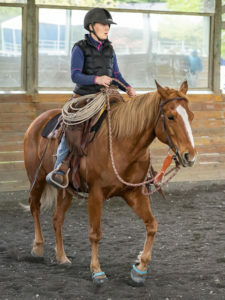 Their mission is not to take ownership of horses, but to assist other rescue groups, so this was a bit of a change for them. Since SAFE really did not have room for Koko, we are so thankful that NWESC was able to take responsibility for this old gentleman. This rescue effort was a true partnership, and we are honored to have worked beside such terrific people. Here’s a video of Sienna, shortly after arriving at her new barn. Quite a trot, don’t you think?